German publishers suffered a major defeat last week in their campaign to force Google to pay for the use of their snippets. In addition to filing a copyright complaint which demanded 11% of Google's revenues, in June 2014 a coalition of German publishers also filed an antitrust complaint against Google. That complaint was rejected last Friday by the Bundeskartellamt, the German Federal Cartel Office, which said in a statement (here, in German) that the German publishers had not offered sufficient basis to justify an investigation. Google's ability to offer free advertising to websites (aka search result listings) while still generating revenue has made publishers around the world jealous, and earlier this summer German publishers mounted another of their periodic attempts to collect fees from the search engine giant. I caught the news in Spiegel and FAZ, both of which are part of the coalition which filed the antitrust complaint. While the coalition alleges that Google's dominant position in the search engine market gave it undue power to force German publishers to agree to its terms, the Bundeskartellamt is described as saying that the antitrust complaint was inconclusive and unsubstantiated, and that the complaint did not tie in with a specific behavior of Google. I am frankly surprised by that ruling, and given that I saw this antitrust complaint as the publishers' best shot at squeezing money out of Google I have to wonder where they will go from here. The publishers are seeking to collect fees from Google under a 2013 copyright law which covers ancillary copyrights and was basically written to cover search engines. 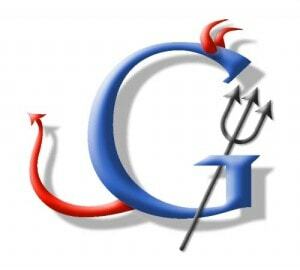 They want Google to pay for the use of their snippets and links in Google News. In addition to the antitrust complaint, they also filed a request for compensation with the Copyright Arbitration Board of the German Patent and Trade Mark Office. Unfortunately for those publishers, Google anticipated the new law going into effect in August 2013 by changing their ToS in June 2013. Anyone who wanted to show up in Google search results (in Germany) had to agree to be listed for free. In short, those German publishers already signed away their rights for nothing, and are now demanding that Google pay. Not all German publishers agreed to Google's new ToS, but the ones which did not are not listed in Google News. Since Google is not using their snippets I do not see how they would have grounds to sue. It's not clear where this story will go from here, but I do know that Google has in the past delisted websites rather than pay for the privilege of sending them free traffic. The search engine giant was even ordered to do just that when it lost a similar copyright infringement lawsuit in Belgium in 2011. Should Google lose this fight, it is more than likely that it will delist those publishers in order to avoid having to pay any fees. It would seem the lack of search engine traffic over the long run will likely outweigh whatever short term boost in revenue the publishers get from Google, but the publishers do not appear to think that will happen - or at the very least, they think the potential gain is worth the risk. German publishers have been trying to extract fees from Google for over 4 years now, but so far they have failed. Well, Nth time is the charm, as they always say.